The first of our Outdoor Adventure Presentation Series introduces Abbie! 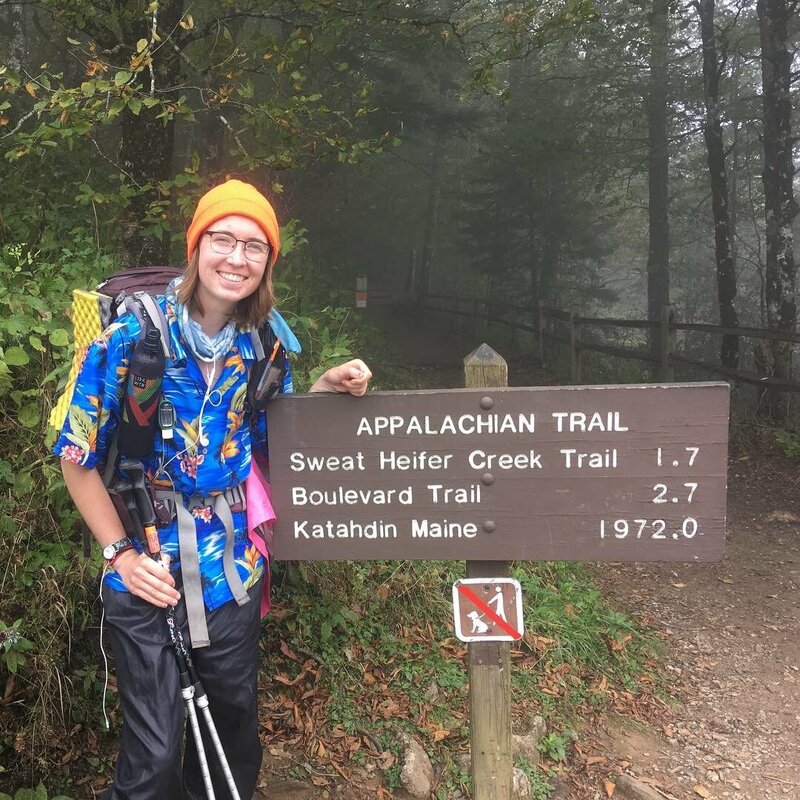 In April 2018, Abbie Nypaver began her attempt to walk 2190 miles on the Appalachian Trail. Up to that point, the longest backpacking trip she had been on was 4 nights. Over the course of six months, she would go from clean-cut college graduate to a dirty, hungry, happy hiker while taking in the breathtaking mountains, lakes and forests throughout the east coast. 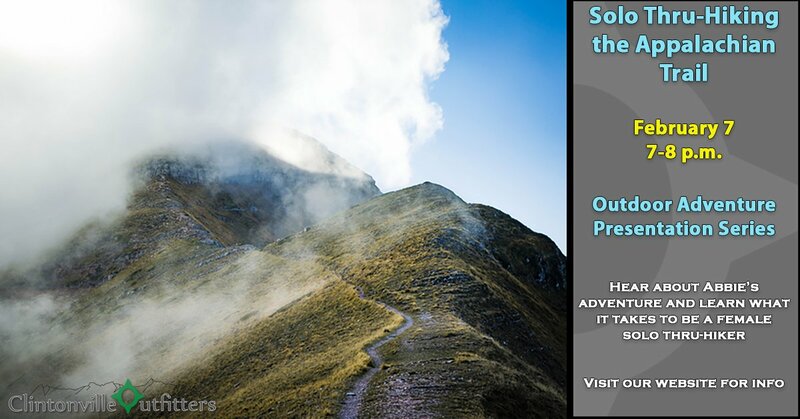 In this talk she will share her experience as a solo female hiker, ultralight backpacker and the amazing Appalachian Trail community who supported her. Abbie Nypaver was born and raised in Clintonville, OH. In December 2017, she graduated with a Bachelor of Science in Chemical Engineering from Ohio State University. Drawn by a life long passion for the outdoors, she decided to thru hike the Appalachian Trail. She is currently looking for a job that incorporates her love of being outside and plans to thru hike the Arizona Trail in Spring 2019. *The presentation will last 45 minutes - 1 hour + 15 minutes of questions at the end. *Registration will be open until all seats are filled.